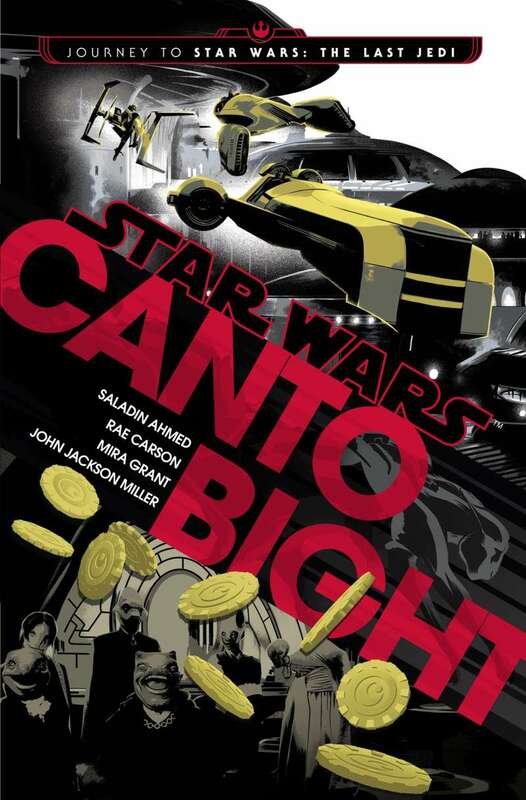 Soon to be seen in Star Wars: The Last Jedi, welcome to the casino city of Canto Bight. A place where exotic aliens, captivating creatures, and other would-be high rollers are willing to risk everything to make their fortunes. Set across one fateful evening, these four original novellas explore the deception and danger of the lavish casino city. • An honest salesman meets a career criminal as a dream vacation turns into the worst nightmare imaginable in a story by Saladin Ahmed. • Dreams and schemes collide when a deal over a priceless bottle of wine becomes a struggle for survival as told by Mira Grant. • A deadbeat gambler has one last chance to turn his luck around, all he has to do is survive one wild night as told by John Jackson Miller. 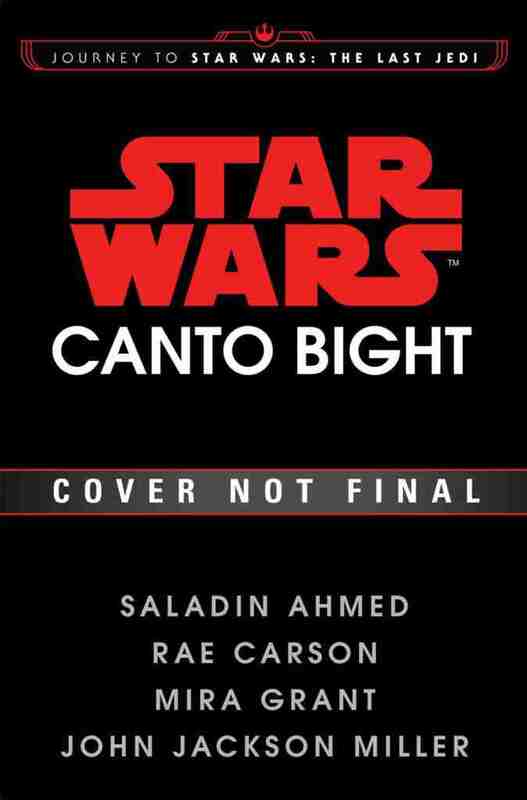 In Canto Bight, one is free to revel in excess, untouched from the problems of a galaxy once again descending into chaos and war. Dreams can become reality, but the stakes have never been higher—for there is a darkness obscured by all the glamour and luxury.